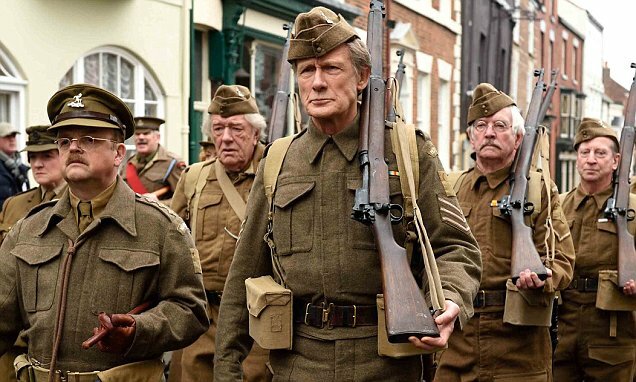 Dad’s Army is one of British television’s greatest triumphs. A classic comedy show that ran from the late 60’s to the 70’s that is still repeated to this very day. So when word spread that the series was getting a big screen reboot, with a brand new cast (as virtually all the original cast are no longer with us), it came with a very mixed reception. Could a modern version capture the same charm and gentle wit of the show? Considering the near perfect casting, the answer is sadly no. 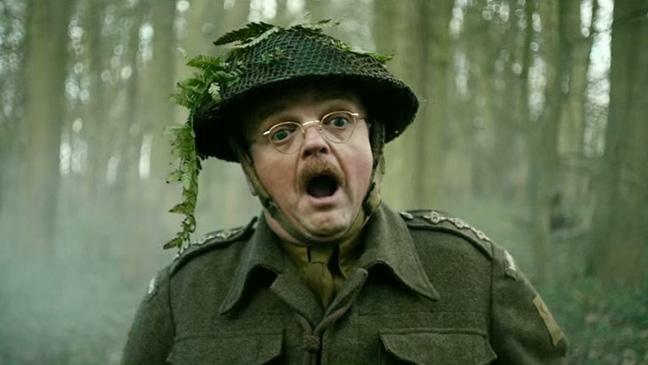 The Home Guard of Warlington-On-Sea, led by Captain Mainwaring, have become a laughing-stock so to prove themselves, they are given the job of guarding their coastal defenses from a German invasion. Meanwhile there are rumours abound about a spy infiltrating the town. As the men are preparing for their most demanding mission, in comes a reporter for The Lady, Rose Winter, to charm the unsuspecting Mainwaring and his second-in-command, Sgt Wilson. 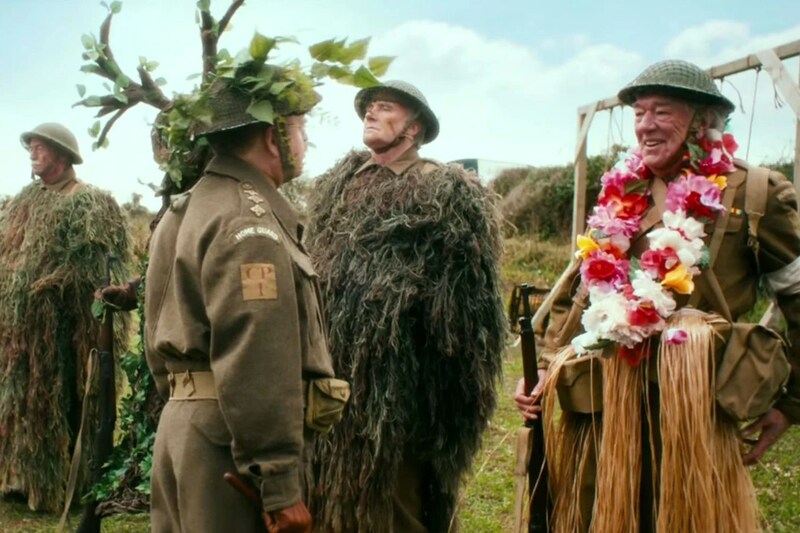 As a production, it captures the flavour of the original, a small coastal town and a guard made up of local businessmen who no longer to fight in the real army, very well. It opens up the once closed settings so we now get a women’s brigade, led by the once invisible Mrs Mainwaring. However, this isn’t the problem with the film. The real trouble is the script. Where the words of David Croft and Jimmy Perry were a mix of sharp wit and corny one-liners, with a dash of slapstick thrown in for good measure, Hamish McColl’s is brimming with dire jokes that are creaking under their own weight, while the slapstick is so painfully tiresome, even with the energy of the cast, looks like they’ve come from a really bad pantomime. Which is a shame because with names like Bill Nighy and Toby Jones leading the cast, you’d expect something a little classier. Instead we get a feeble storyline in which Mainwaring and Wilson are chasing the same girl, with an obvious farcical moment thrown in just to try to speed the comedy pace up, while Catherine Zeta Jones wanders around in an array of dresses looking glamourous but delivering little else. Not her fault, it’s just the way the script has been written. So we have a cast woefully wasted, from Tom Courtney’s Jones to Bill Patterson’s Frazer. Even Inbetweeners Blake Harrison, as Pike, and Daniel Mays as Walker, as given less to do. In fact, only Michael Gambon’s gentle and naive Godfrey manages to raise a smile and the occasional chuckle. 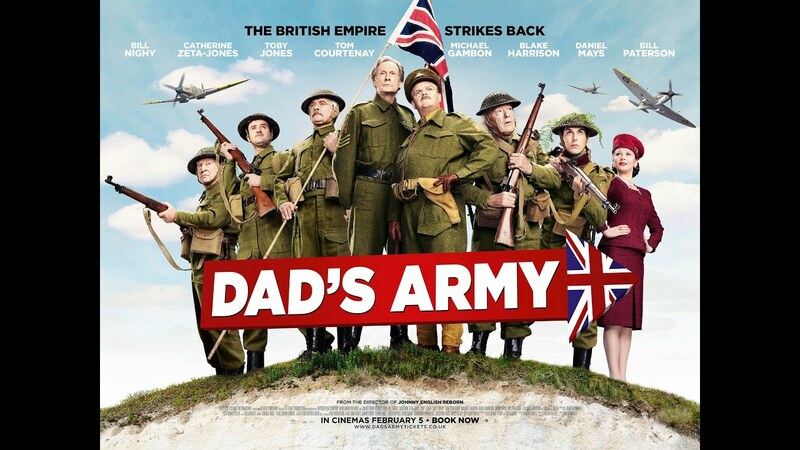 There is so much potential for Dad’s Army to work but under these misguided words, it falls flat every single time and even though I was willing it on and longing for it to work, it is an unmitigated disaster that lacks any of the joy of the series. Better to watch the repeats on a Saturday night than to waste your time here.